A magnet is a material or object that is able to produce a magnetic field, which will attract it to metal objects. Though the magnetic field is invisible, it has varying strengths. There are many different types of magnets, and each one has a different magnetic field that it produces. The three large classifications of magnets are permanent magnets, temporary magnets and electromagnets. Permanent magnets are the most common, and will retain a level of magnetism forever. Temporary magnets are objects that have a level of magnetism when they are in a magnetic field, but lose it when they are not; an example of a temporary magnet is a paper clip. An electromagnet is a tightly wound coil which produces a magnetic field through a current that runs through it. Permanent magnets can be made up of four different types of materials. The first is ceramic. Also known as "ferrite," ceramic is made up of an iron composite and is often available at a very low cost. The next material is alnico, which is a material made up of aluminum, nickel and cobalt as well as trace amounts of other magnetic elements. Third is samarium cobalt, a rare natural earth magnet with a significantly high magnetic strength. Lastly is neodymium iron boron, which is also a rare earth magnet. Magnets can come in all different shapes and sizes, but they do have some various types. A ceramic magnet may be in the shape of a doughnut or a wand, though it can generally be shaped any way you would like. 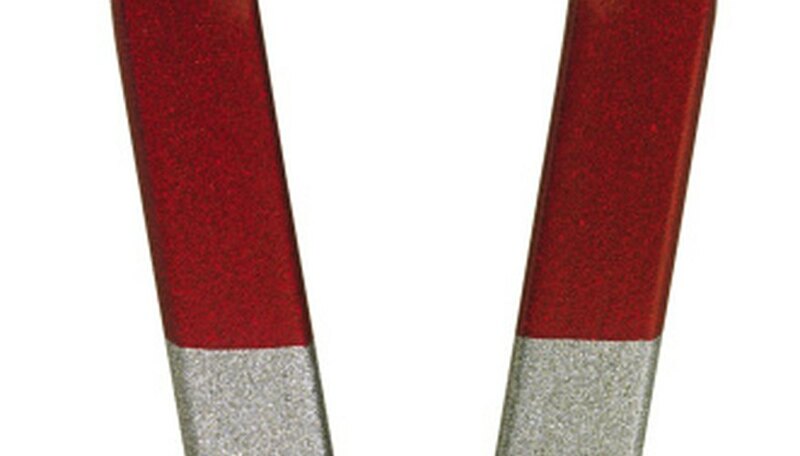 An alnico magnet will typically be seen in the shape of a horseshoe or long bar. Since they are natural materials, samarium cobalt and neodymium iron boron magnets will often be sold in more rough shapes, such as a trapezoid. Superconductors are the strongest kind of magnets; they are a type of electromagnet. Superconductors are made from special metal alloys that are coiled up. These alloys are then cooled to very low temperatures and become superconductors. These magnets may not have a metal core at all, the power of their magnetism comes from the material that they are made out of and the way in which this material is coiled. Godard, Robert. "Differences Between Magnets." Sciencing, https://sciencing.com/differences-between-magnets-8527154.html. 24 April 2017.